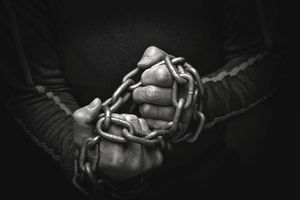 Restraint of trade is a very old legal concept relating to the right of individuals to do business, or pursue a trade or profession, freely, without restraint. The provision prohibiting Nordenfelt from making guns or ammunition was reasonable. The provision banning competition 'in any way' was an unreasonable restraint of trade and therefore invalid. Restraint of trade establishes as a general rule that restraint-of-trade-clauses are void at common law, except when they protect a legitimate interest and are reasonable in scope. The Sherman Antitrust Act of 1890 includes a section on restraint of trade, which says, in part. that "Every contract, combination in the form of trust or otherwise, or conspiracy, in restraint of trade or commerce among the several States, or with foreign nations, is declared to be illegal." An individual or business that feels his right to trade has been violated may take his case to court. Restraint of trade may also be in violation of government regulations. Restraint of trade is an issue in non-compete agreements, where an employee or business owner accepts an agreement (sometimes for compensation) not to compete with the former employer or new business owner within a certain area for a specific period of time. Non-compete agreements are not inherently illegal, as long as they are reasonable and do not infringe on an individual's right to do business. If a court views a non-compete as unreasonable, it is usually based on the principle that it constitutes restraint of trade. Length of time. In the case above, for example, 25 years is an unreasonable length of time to be barred from doing business. Scope of work. The broader the scope of work (making guns or ammunition, for example), the more unreasonable. An independent contractor or employee is asked to sign a non-compete agreement upon employment. The non-compete may come into play during the employment term or thereafter. If the employer feels the contractor or employee has violated the agreement not to compete, a lawsuit may ensue. A business is for sale and, as part of the sale terms, the seller agrees not to compete with the new business. For example, an employment contract provision that prohibits a former employee from setting up a competing business for 5 years within a 100-mile radius of the former employer would likely be declared void because it constitutes restraint of trade. On the other hand, if the restricted area was smaller and the time period shorter, the contract provision might be upheld. It's impossible to tell ahead of time how a court might rule on a restraint of trade case; each case is different and unique. As noted above, the existence of a non-compete is not necessarily illegal. At issue in these contract, situations are what is "reasonable" to protect the former employer, in this case, from having an employee leave the company and begin competing with his/her former employer, against the right of an individual to practice a trade or profession. U.S. states have varied widely in their treatment of contracts which include non-compete agreements. At one end of the spectrum of actions, California allows no non-compete agreements in contracts, and at the other end, many states have no specific legislative or statutory restrictions on non-compete agreements.